Rimmel Lasting Finish lipstick by Kate Moss (£5.49) is described as a deep plum shade. It’s a darkened vampy purple with a an opaque coverage – although there seems to be a slight gloss to the texture as well. The lipstick looks a lot darker on the lips than in the tube and reminds me of MAC’s ‘Yung Rupunxel’ and ‘Smoked Purple’ (from the MAC Me Over collection), which is tiny bit more opaque. I tried some of the other shades in the Kate Moss collection and was left a bit disappointed as I felt none of the shades suited my skin tone except for this shade. The consistency of the the lipstick is thin and creamy (which makes it feel like a stain) and lasts about 6 hours before re-applying. 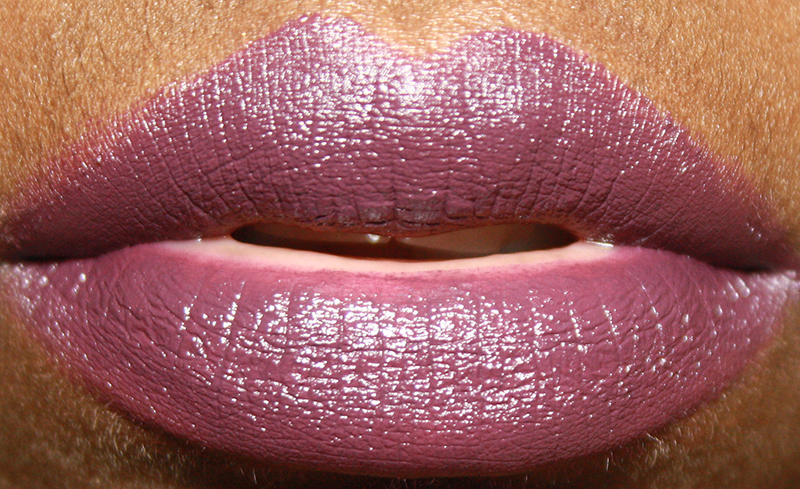 My only issue with this texture is that it does not seem to ‘set’ like other lipsticks. It left stains on everything I ate and there was a point where I felt like I was tasting more of the lipstick than the apple I was eating! Other than that, It is a lovely, vampy colour for Autumn. Previous Post MoneySupermarket's Top Apps '12 | Spendometer!